HONEY! What a day I had yesterday. 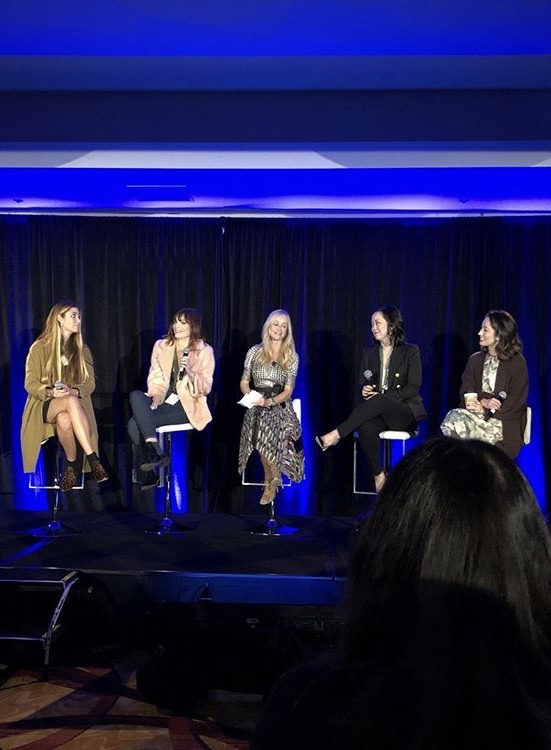 BeautyX Media & Influencer Summit is a 2-day educational event for beauty entrepreneurs that is focused on navigating media and social channels to build brand value. 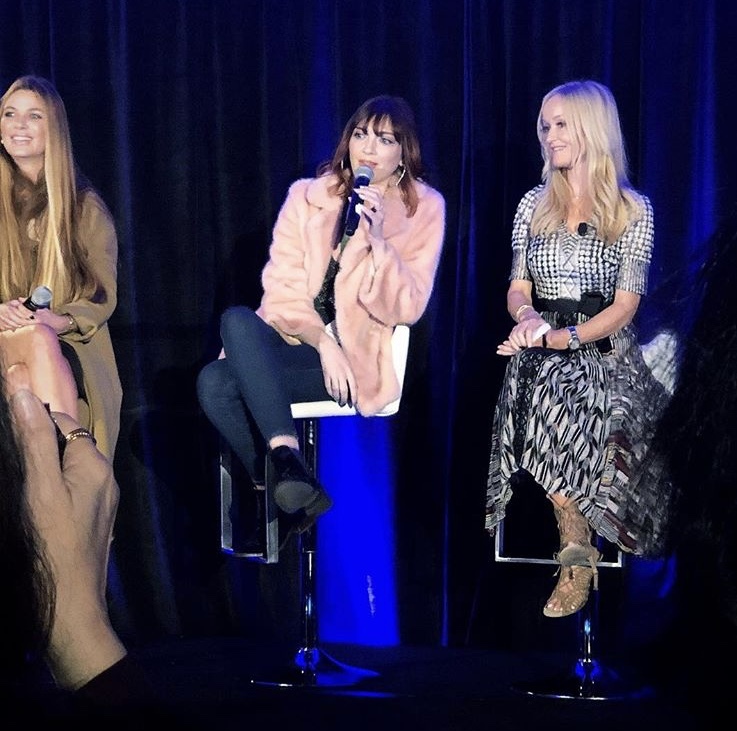 Yesterday was the first day of the two day event and it took place at the LA Hotel in Downtown Los Angeles. Following BeautyX is the Independent Beauty Expo, which I cannot WAIT to roam around, but the panel was the best way ever to kick off the week. Our moderator was Sophie Uliano - a New York Times best-selling author and green beauty expert. With Lindsey from my beloved Source Viral Apothecary. Afterwards I met tons of entrepreneurs behind indie brands! My pockets are filled with business cards, so I really feel like a business woman today. I am gonna meet even more at the Expo later in the week. I even met a man who runs a skincare factory in Canada who said he wants to fly me up there to see his company. So maybe I'll be seeing my Canadian hunnies soon! MEET UP, ANYONE? You know I wore my signature PANK faux fur coat so any hunnies at the event could easily spot me. I also wore some new jeans that I just got off Poshmark that were a little too tight but I rolled with it anyway! 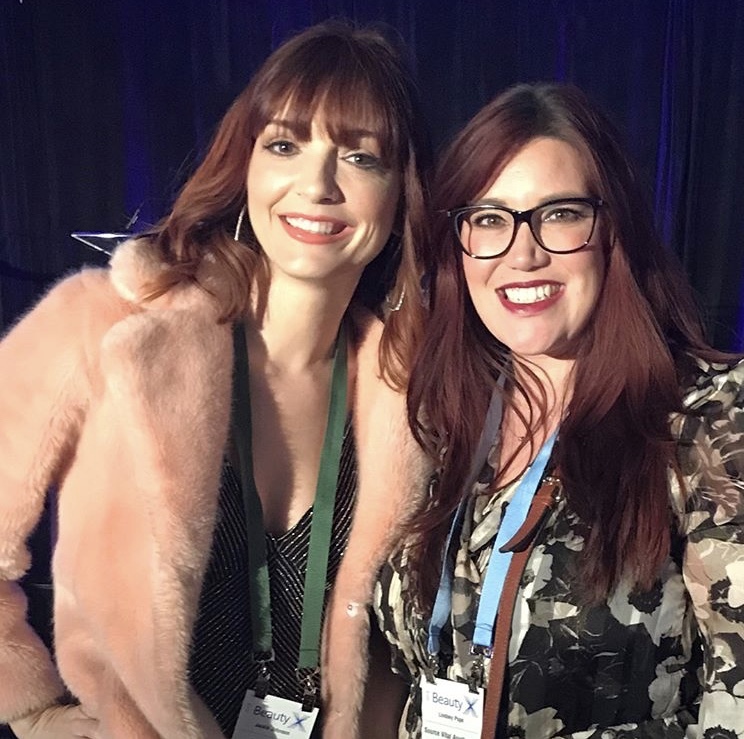 I had the best time mingling with companies and fellow beauty lovers, and being on the panel was so fun and if I'm being honest, SO DANG COOL! I think my biggest laugh was when asked about how brands should contact us. I said, "Don't DM me, I'm not your side piece." Thank you again to Beauty Independent. and Indie Beauty Expo for asking Ya Girl Jackie J to be a part of your maiden voyage. Here's more information on Beauty X Summit! Were you there? Let me know in the comments below!